provides guests with an exceptional playground. safaris, and its waterfalls are sheer tropical jewels. safari et les cascades y sont des édens tropicaux. 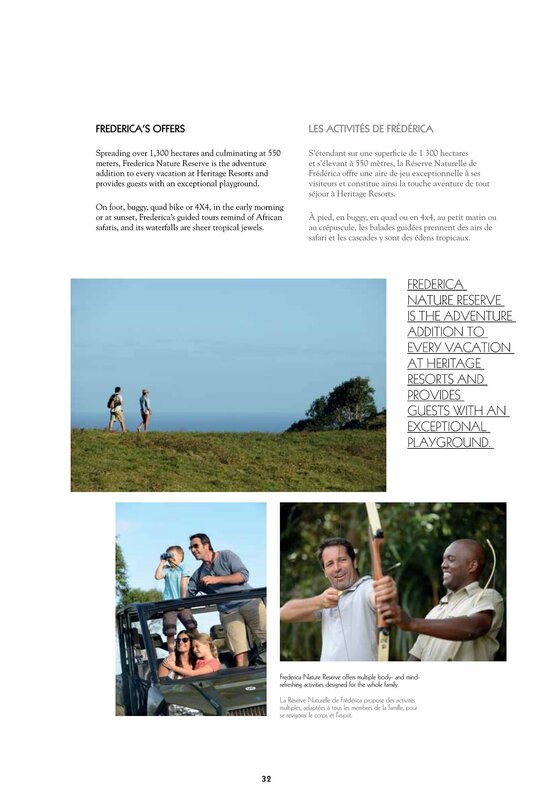 Frederica Nature Reserve offers multiple body- and mindrefreshing activities designed for the whole family. se revigorer le corps et l’esprit.